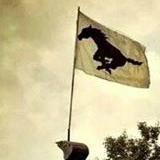 Mustang Tree Pride. Dedication. Tradition. Located in the south western part of York County, South Western School district was a young and untested district; free to chart its own course in the late 1950's and early 1960's. The mustang, native to the south western part of the United States was selected as the school's mascot largely because it too was young, untested, and free. 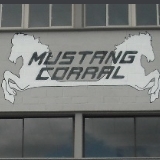 Although the Mustang would serve as the school's mascot since the district's inception, the Mustang would become a true symbol of pride, dedication, and tradition in the mid 1980's. Known as the "smoking tree" because of its location off of school property; a large white oak tree would become a gathering place, a message board, and, of course, a place to smoke for students attending South Western High School. During the 1985 school year, the tree suffered substantial damage and the removal of all limbs saw the tree reduced to nothing more than a 25 foot tall stump. 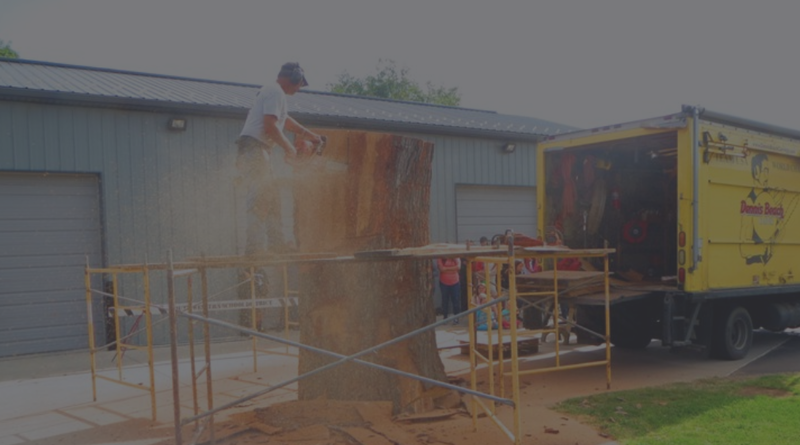 Still being panted but with rumors circulating that the tree would be completely cut down, Student Council President Tim Oaster developed the idea to carve the tree into the school mascot. A contact from Stihl Chainsaw Company provided Tim with the contact for Dennis Beach, a wood carver from Wopwallopen, PA. With Student Council help and Tim's guidance, Mr. Beach would carve the original Mustang Tree in December 1985. 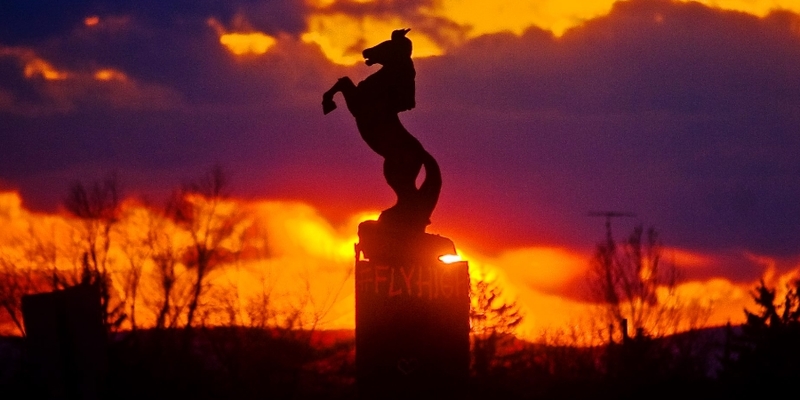 The original Mustang Tree carving proved to be a message board for all students and carried messages of athletic successes, band championships, graduation wishes, and was also a sad reminder of tragedy and loss. In the late 1990's, plans to replace the Mustang Tree surfaced as age and weather began to take its toll on the carving. A tornado in late 2001 heightened the urgency of replacement efforts. 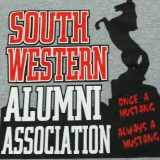 With the help of school administrators, the South Western Alumni Association, Class of 2002 officers, Tim Oaster and his father Joe Oaster, the 2001-2002 Student Liaison took on the task of replacing the original Mustang Tree with a new carving. Dennis Beach was again commissioned to create a replacement carving. Without a tree to carve, Keith Smith Concrete constructed a concrete base and pedestal that would serve as the foundation for the new Mustang carving. 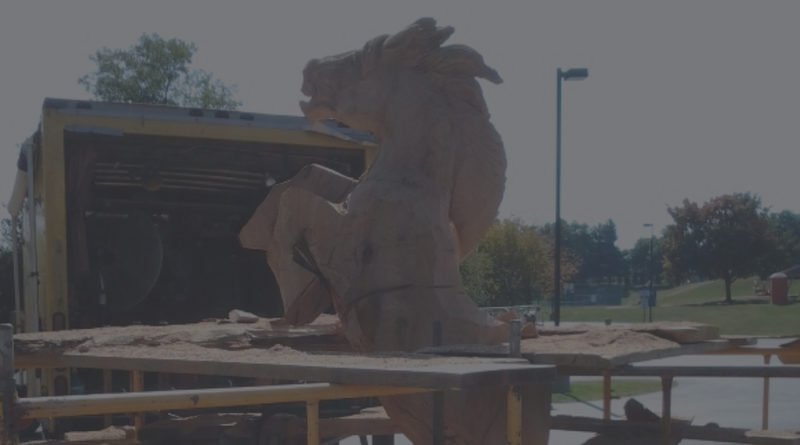 In May 2002, the second Mustang Tree, carved at Dennis Beach's shop from a large red oak, was installed. Nearly 17 years after its creation, the original Mustang Tree was removed and replaced with the second installment of the Mustang Tree. After nearly two and half years of restoration efforts, the original Mustang Tree was restored and ready to return home. 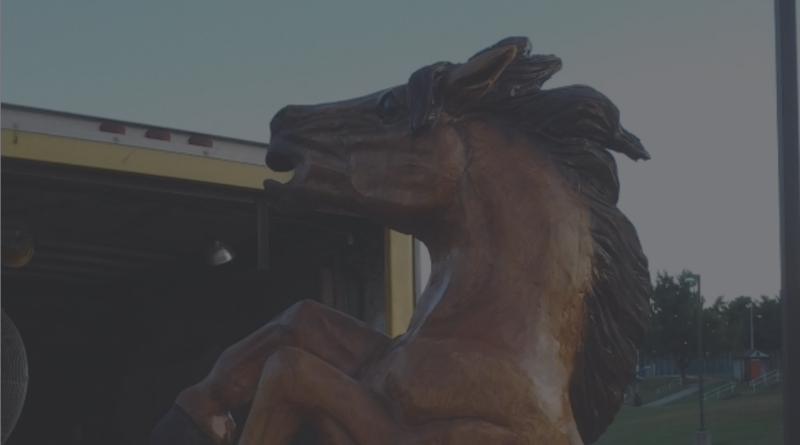 The original Mustang carving was repaired by Wesley Zepp, owner of American Tree and Stump Removal, along with employees Shawn Yohe, Zach Funt, and Jamie Starling. 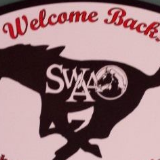 The restored Mustang was presented on October 8, 2004 by class of 2002 President Matthew Baile, South Western Alumni Association President Pat Loss, and retired South Western teacher, coach, and Principal John Quashnoc. The restored Mustang was presented as the class gift of the class of 2002 to South Western Superintendent Dr. Barbara Rupp, School Board President Mr. Dale Myers, and then High School Principal Mr. Walter Graves. The restored carving now stands inside a welded steel frame encased by two layers of wood with a plexi-glasss display in the High School lobby. In early 2013, weather again took its toll on the Mustang Tree. This time, the tree was destroyed beyond repair and plans were again made for another carving. Tim Oaster would again contact Dennis Beach and commission the third installment of the Mustang Tree. With help from Dr. Barbara Rupp, Wesley Zepp, Matthew Baile, Tim Oaster, Joe Oaster, and members of South Western's maintenance staff, the third Mustang Tree was carved on-site at South Western High School in October, 2013. Since the carving of the original tree in 1985, Dennis Beach has become a World Champion chainsaw carver and a true artist. 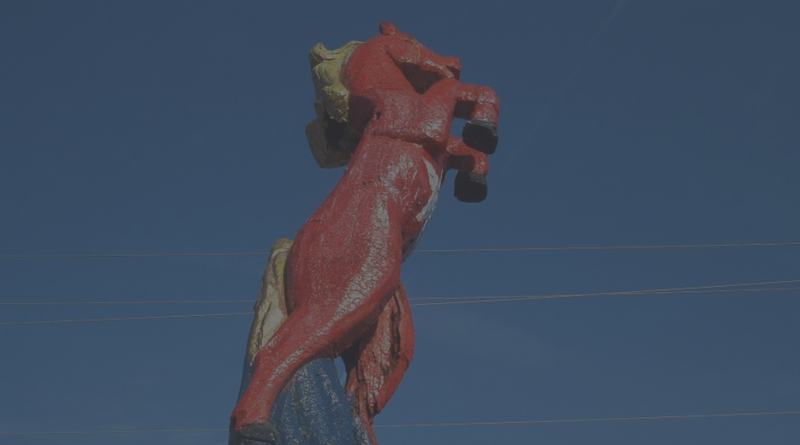 The third installment of the Mustang Tree proves to be a true work of art and a testament to the will and dedication of the South Western Community. This video was recorded and edited by Amanda Barnhart while a student of South Western High School's Digital Media class. 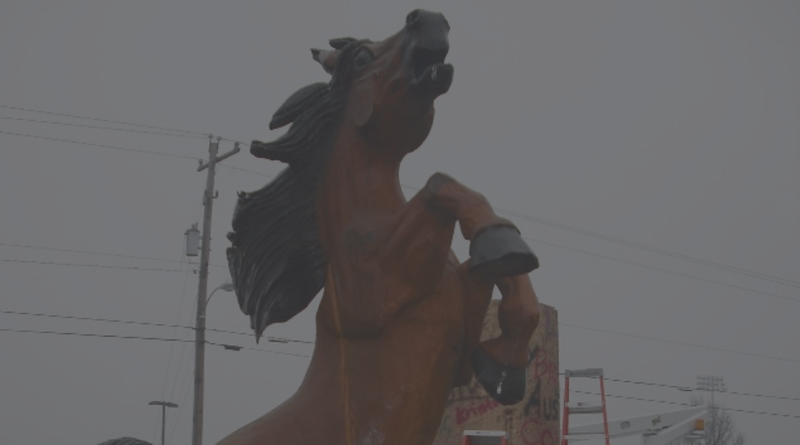 To commemorate the cutting down of the old mustang wood carving and erection of the Mustang II statue. 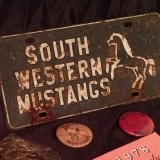 South Western School District is having a new mustang wood carving created after Mustang II rotted out. 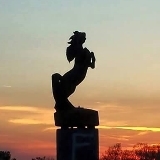 Dennis Beach's 3rd day of creating the Mustang III statue for South Western School District. A time lapse of the Mustang III carving being installed on it's base.